When it comes to effective filtration in a pond system, the biological media that is used is a key component. The Velda Nitrates Filter Medium is a highly effective ceramic media that uses a unique shape to increase its benefits in the filtration process in the pond system. 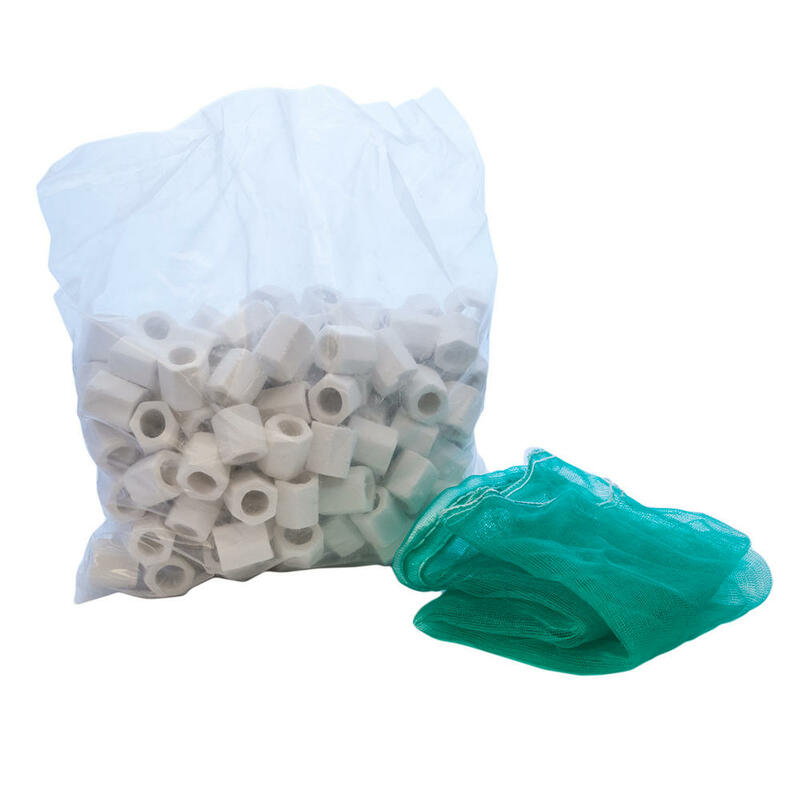 The hexagonal tunnel shape of the filter material ensures a sufficient number of oxygen rich zones as well as oxygen poor zones, enabling good and bad bacteria to develop sufficient enough to create the best environment. From here it breaks down waste matter, and works along side mechanical filtration to keep the pond water clean. 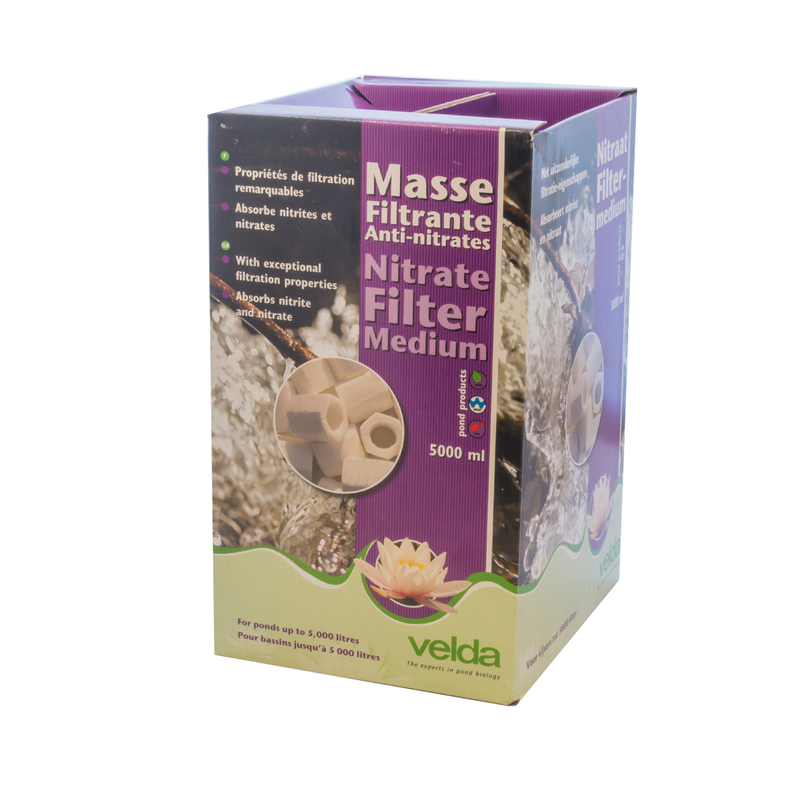 The Velda Nitrates Filter Medium comes in 5000ml and is provided with a media bag. Each 5000ml is suitable for ponds up to 5000 Litres.